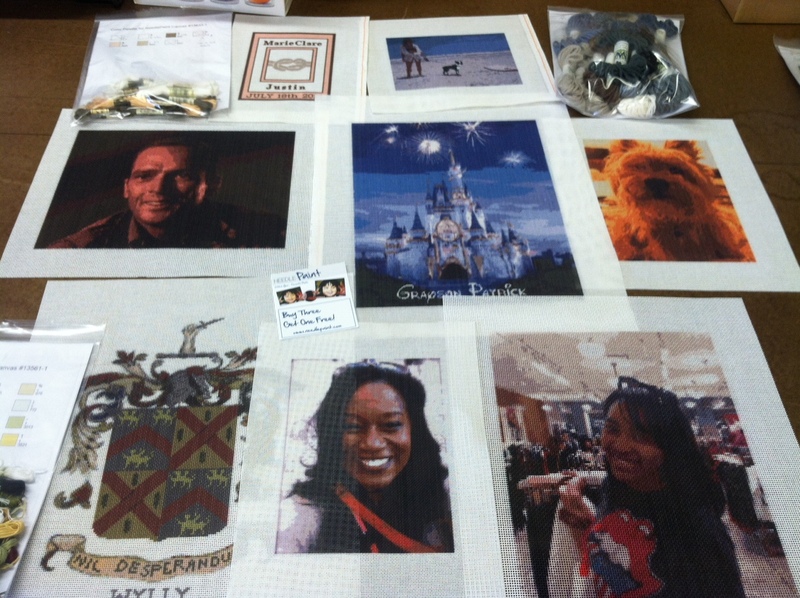 Another busy week has gone by, and there are now 12 more great needlepoint canvases waiting to be stitched. 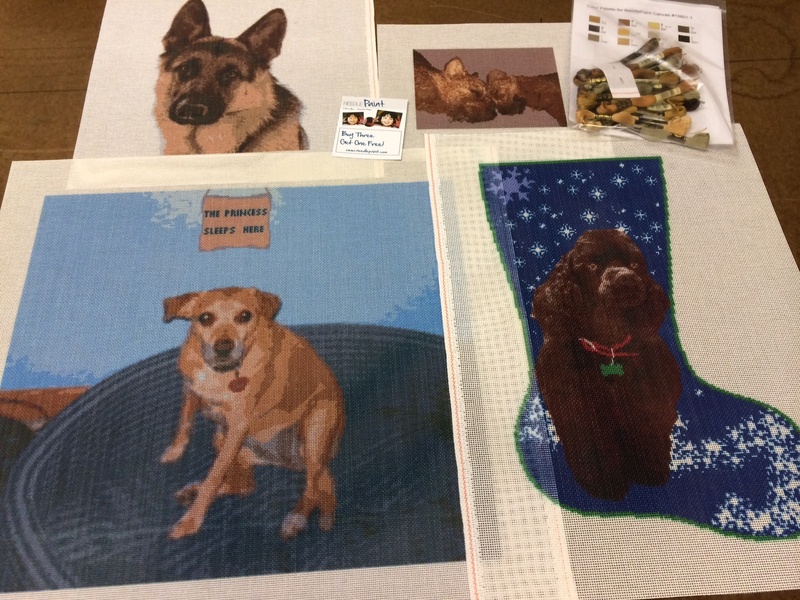 Needlepoint dogs, belts, and pillows, oh my! Click here to design your own custom needlepoint project or visit NeedlePaint.com. 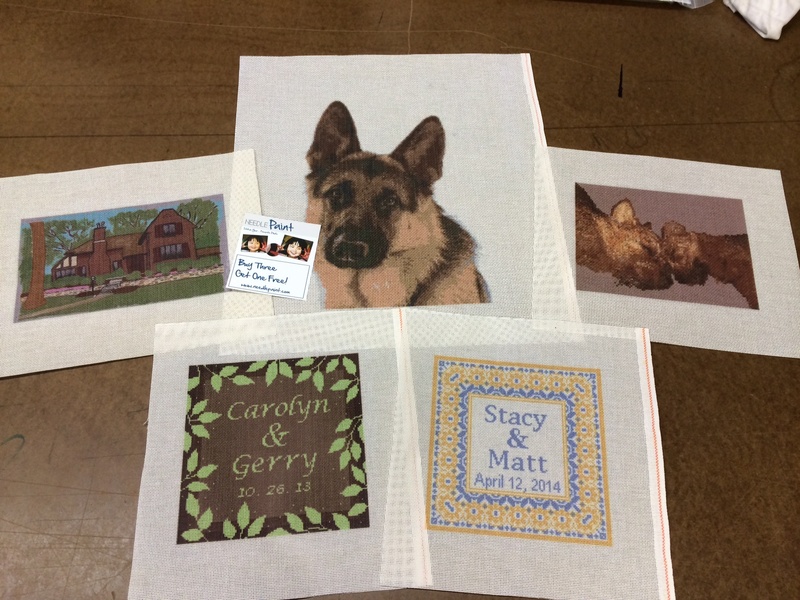 Custom Dog Needlepoint Canvases, Stitch your best Friend! These are going to be stitched into pillows! Show your Irish pride, or your Celtic pride (if you are from Boston) and stitch a custom needlepoint belt that will be cherished for a lifetime. Our lucky Irish belt needlepoint canvas, includes your monogram and we can also add your lucky number if you’d like. Or, we can remove the monogram and add your last name on the back. Love this design but want it in another color (pink for ladies?) just let us know in the notes and we will customize the design and email you the preview. 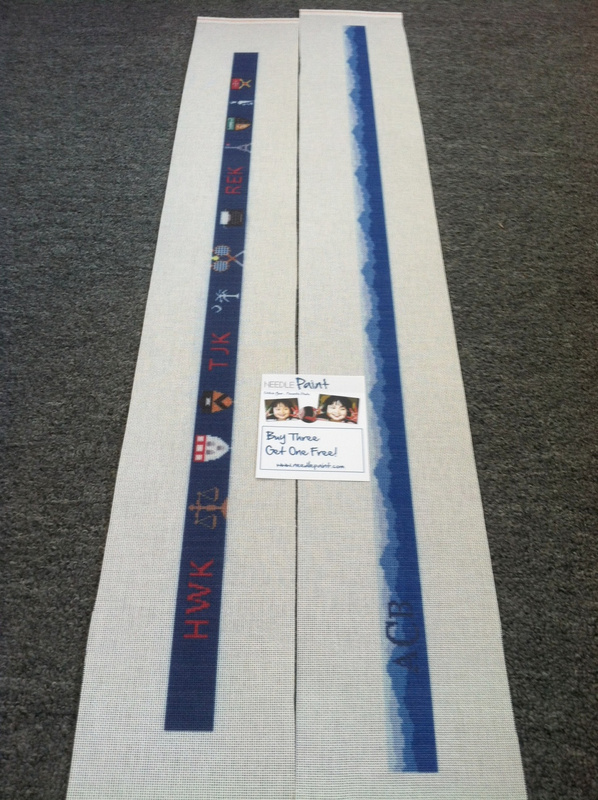 If you are interested in buying a finished needlepoint belt, please contact us for pricing. 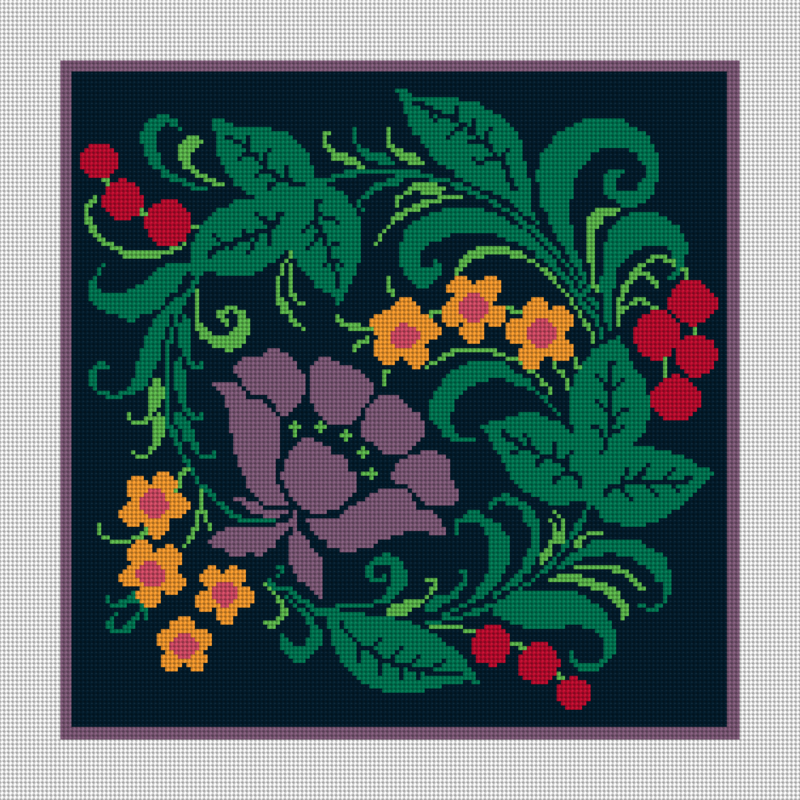 Fall colors are arriving in the mountains, and so has our Tadley Floral Needlepoint Kit. This design was created to be made into a Needlepoint Pillow, but I think it would also look great on the wall. As with all of our order, each is custom made and the colors can be customized to match your home. Also, if you are going to stitch a pillow, please get in touch with us, this needlepoint kit can made at 14″ x 14″ or 16″ x 16″ inches, too. Looking for a timeless needlepoint belt design? The southwest needlepoint belt canvas is perfect for the cowboy or they guy who just loves to wear his cowboy boots. 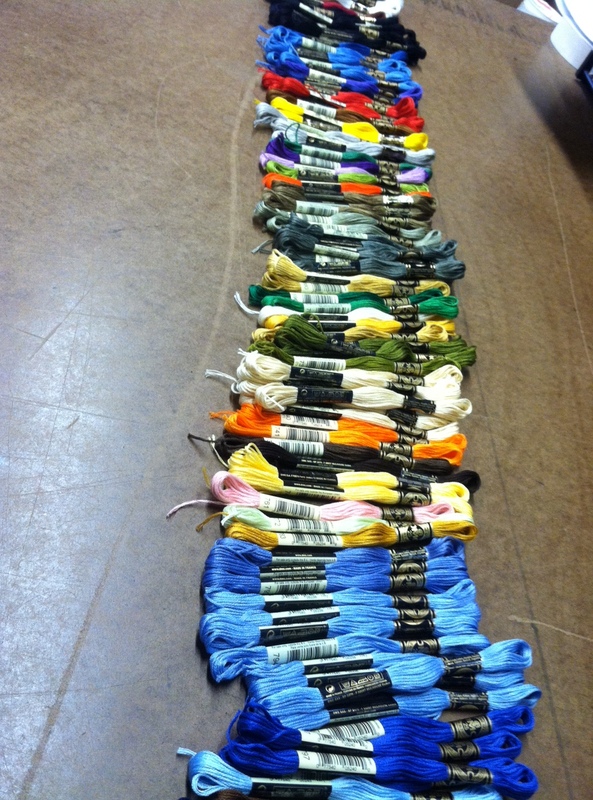 Or, you can have us change the colors to pastels to make a belt for a cowgirl. If you have another idea for a custom needlepoint belt, let us know, we’d be happy to start a new design for you from scratch! It takes us about 3 days to create a new design, and we have a 100% satisfaction guarantee on all of our products. Tracy has been hard at work. 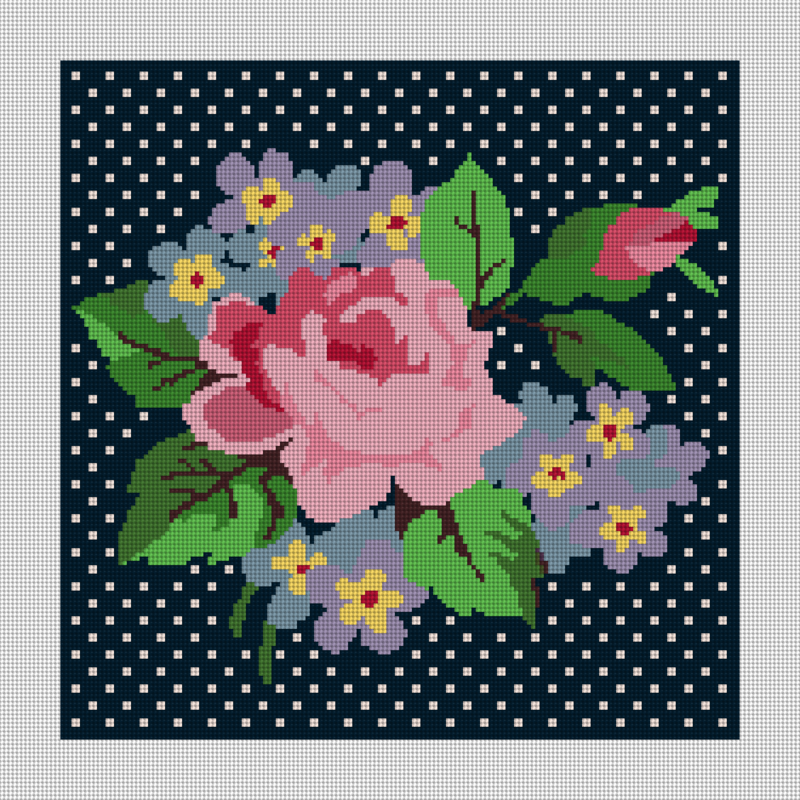 Her latest design, the modern rose needlepoint kit, is a more modern take on a traditional idea of a rose with flowers. This needlepoint kit is sure to brighten up any room. Wedding ring bearer pillows are great projects for parents and they also make great gifts for friends. 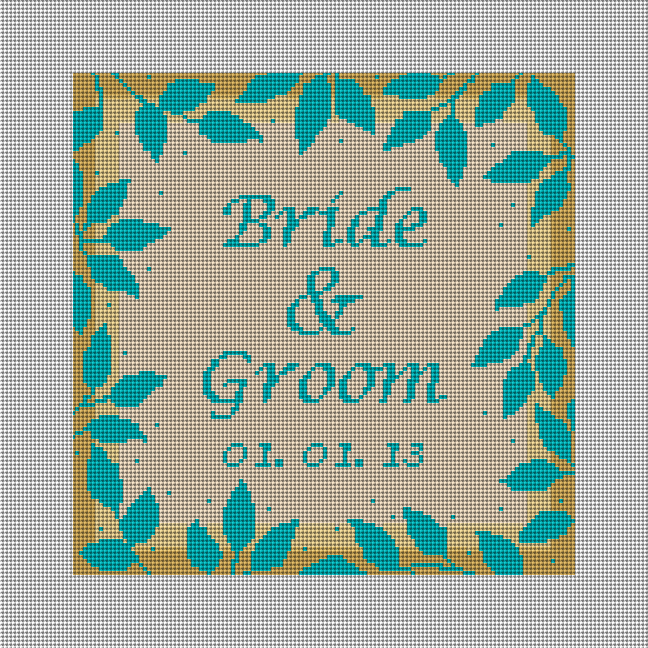 Our latest design is the Telluride Wedding Ring Bearer Pillow Needlepoint Kit. 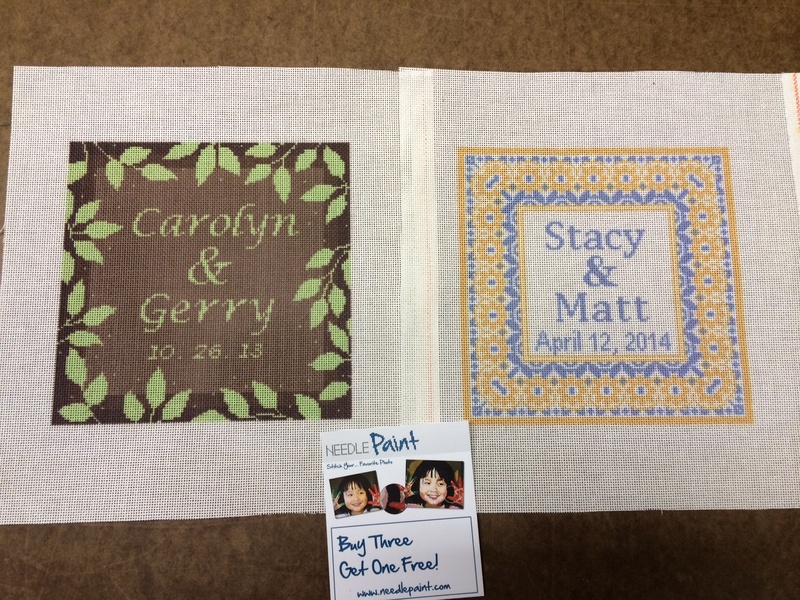 Our needlepoint kits are personalized for you! 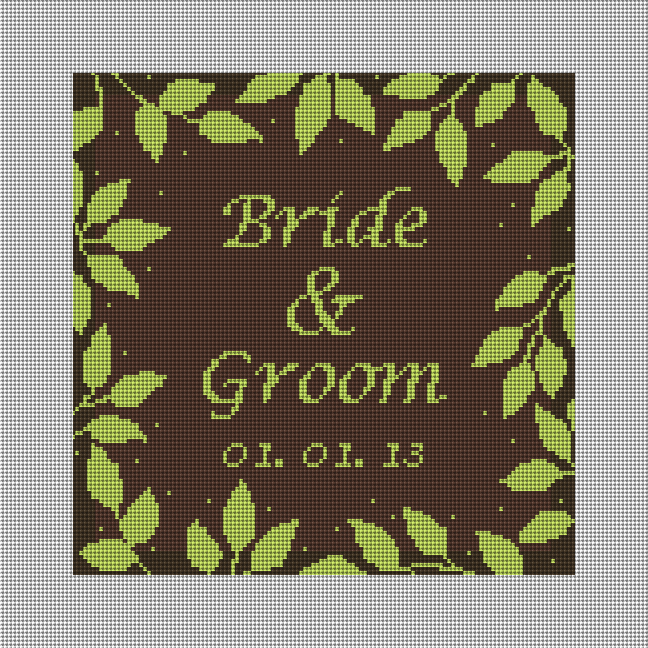 The colors can be changed and the fonts adjusted to the stitcher’s or the bride-to-be’s choice. OK, so I am a day late, but these are some pictures I took of needlepoint canvases from photos and custom needlepoint belt canvases that we made yesterday and I thought looked great! 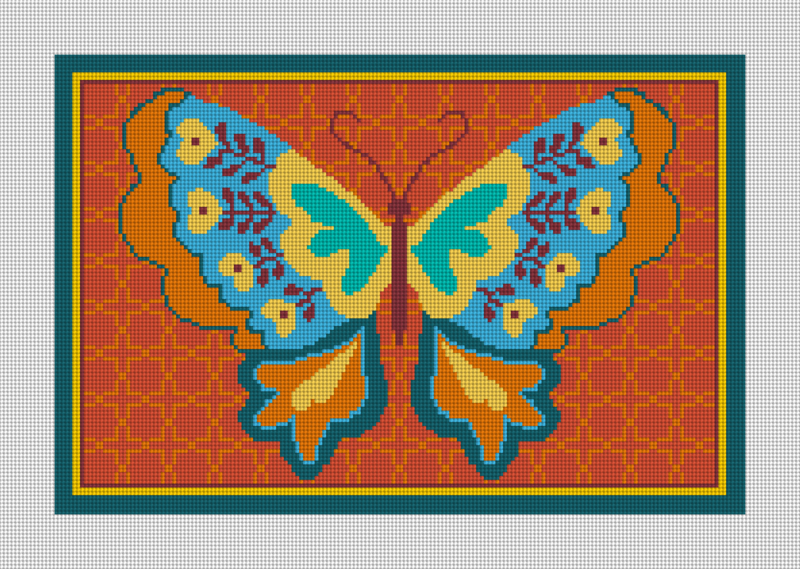 This month we created a new butterfly design called Butterfly Joy. 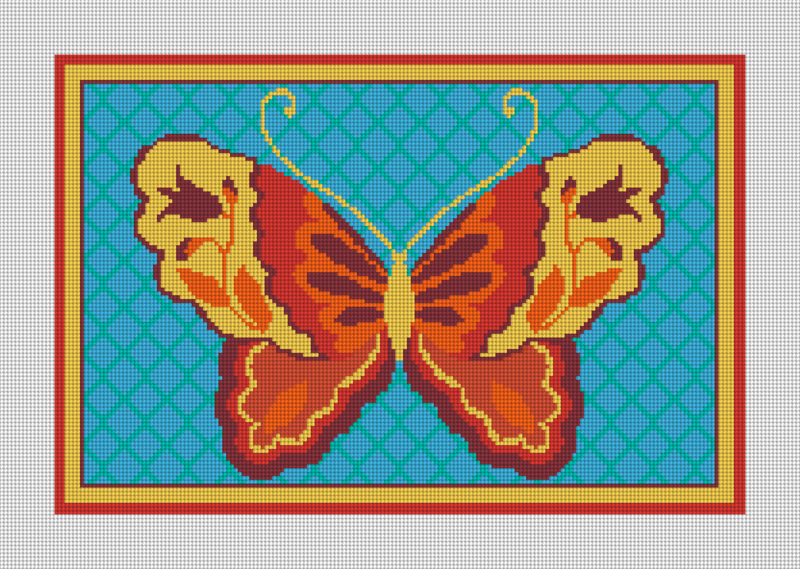 This needlepoint kit is complimentary to the butterfly bliss needlepoint pillow design. So, if you’re looking to brighten up your room, consider the butterfly needlepoint kits. Both designs are open enough for a lot of stitch creativity! 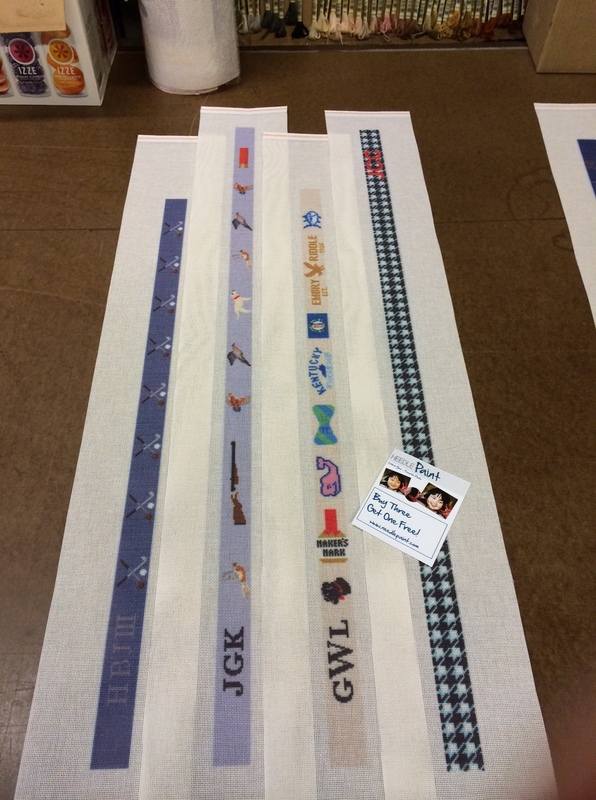 We had a request a few weeks back to design a custom needlepoint belt of the Blue Ridge Mountains. I started out a little doubtful that this would come out well, but thought it was worth a try. It came out looking fantastic! 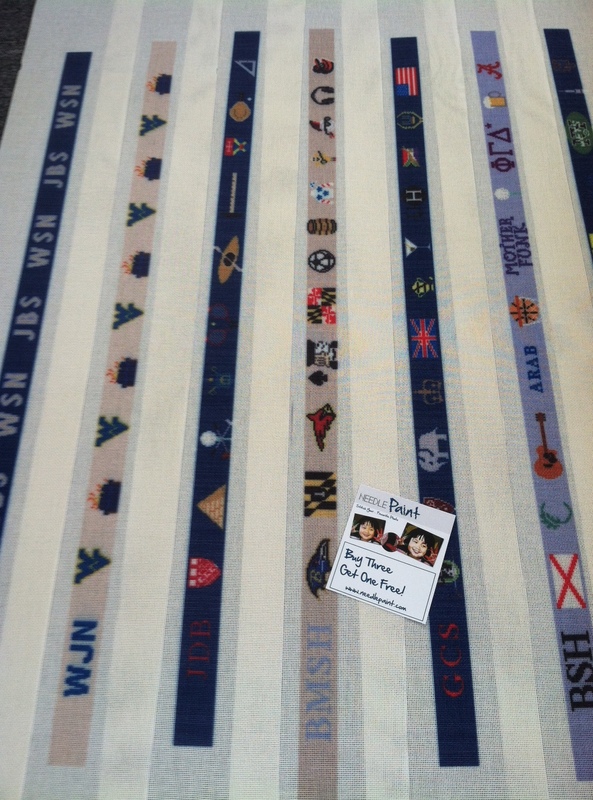 Below are previews of the blue ridge mountains needlepoint belt kit and the green mountain belt. 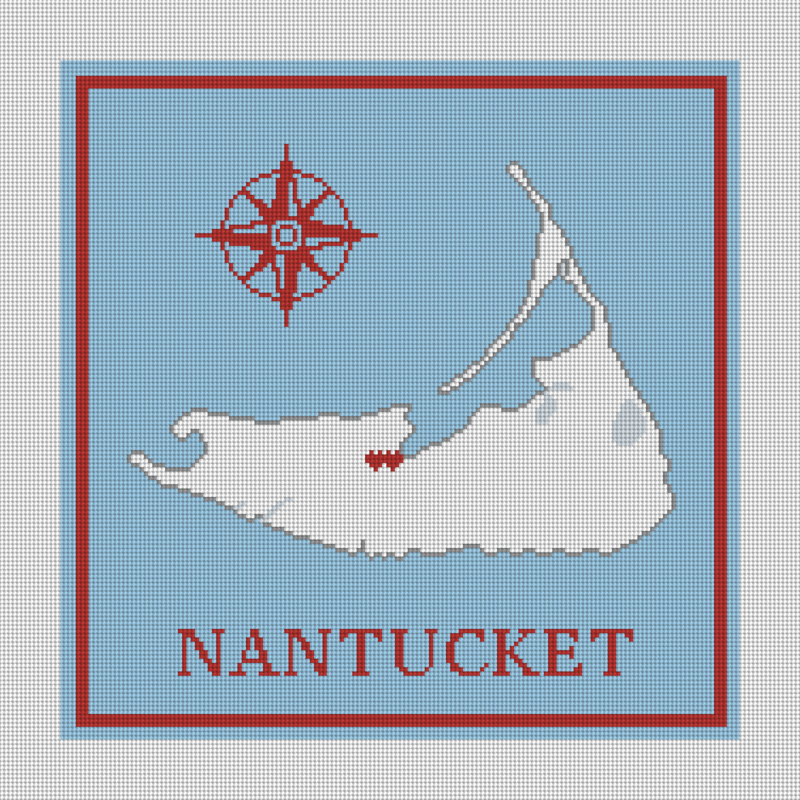 Customize your own Nantucket pillow for a wedding or for your home. The hearts can be moved to any location on the island, and / or changed to a different shape if desired. If this needlepoint pillow is for a wedding, you can add the bride and groom’s name and replace the island name with the date. 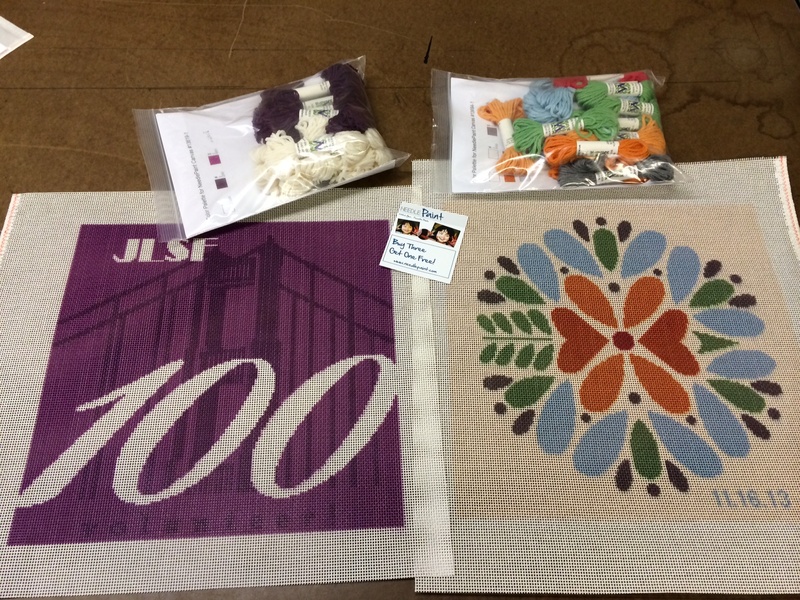 Each custom needlepoint kit is made to order and the colors can be changed if desired. For home decor, you can order this as a 16 x 16 inch on 10 mesh canvas, and for a wedding ring bearer pillow, you can order it on 18 mesh which is 8.9 x 8.9 inches.